My sister and I both have a bit of a city crush on Paris. Claire for the many galleries; me for the gorgeous food. So when we booked a winter weekend there in February, we knew we would have to make plenty of time for both, as well as sightseeing and general hanging out. Here is what we got up to. If you have any tips for my next trip please share them. 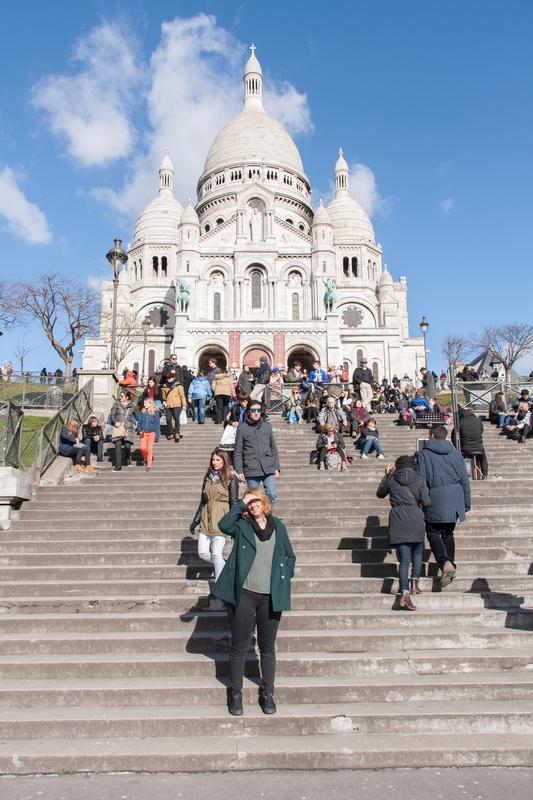 We stayed in Monmartre, so our first stop after dropping off our bags at the hostel was a walk up to Sacre-Coeur, the famous basilica of Monmartre. Claire is shielding her eyes from the sun, which was a lovely surprise after leaving a grey London that morning. We paid to go up in to the dome and the views were spectacular. 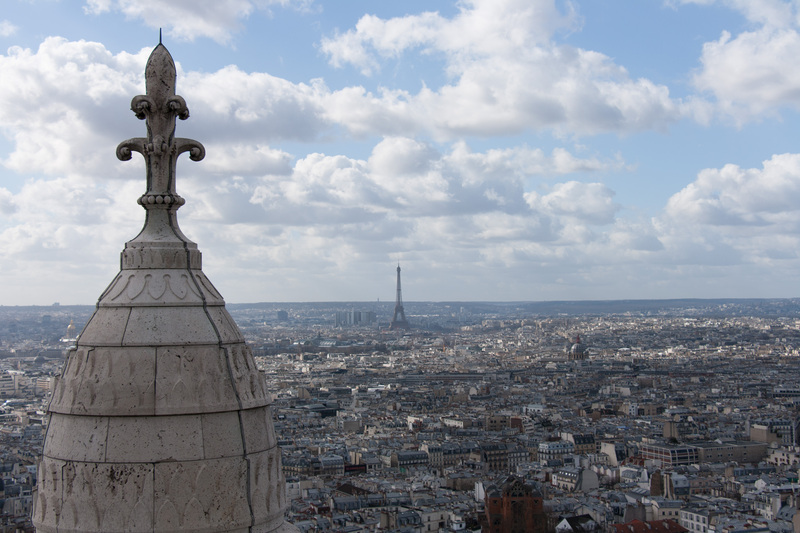 I must have taken hundreds of photos of the Eifel Tower in the distance, much to Claire’s dismay as she can’t stand heights and was edging her way around the dome sticking as close to the building as possible. I will admit, it is a long way up, but even Claire admitted once safely on solid ground, it is well worth doing. 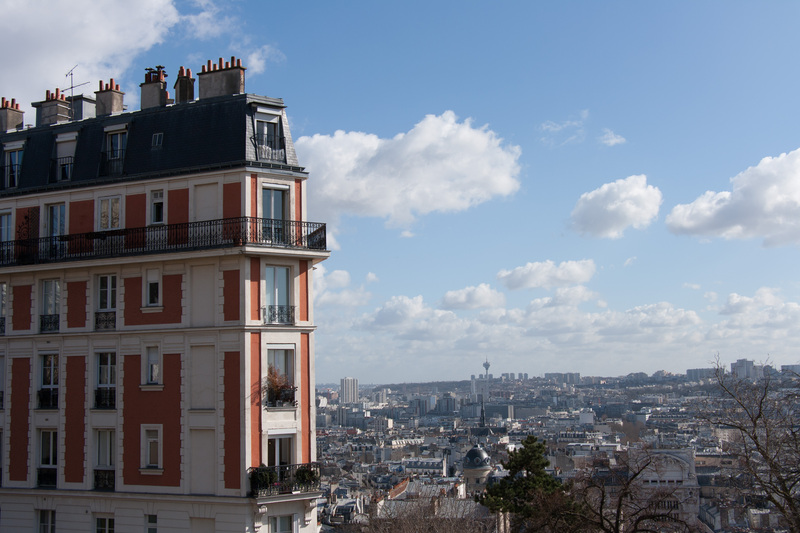 We then wandered around, fantasizing about what it would be like to live as a Parisian in a lovely apartment like the one above, overlooked only by the basilica…..
Our next stop was the Pompidou Centre, which is a surprising building that kind of looks like a swimming pool with lots of tunnel slides around the outside. On the inside you walk into a huge atrium, flanked by six floors of galleries and cultural spaces. There is a library, cinema and cafe, among exhibition spaces and public performance areas. 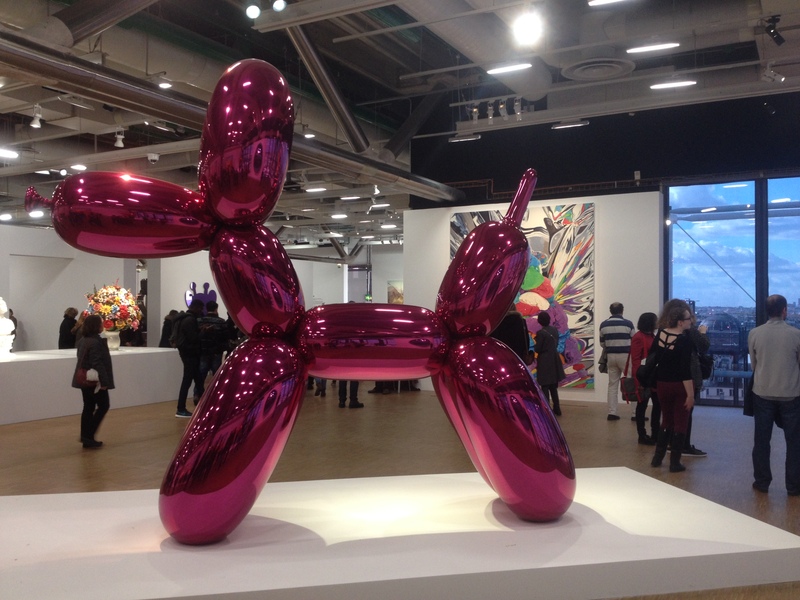 The highlight for me was the Jeff Koons: A Retrospective exhibition. The huge collection of works from Koons was fascinating and impressive. I loved the balloon dog, pictured. 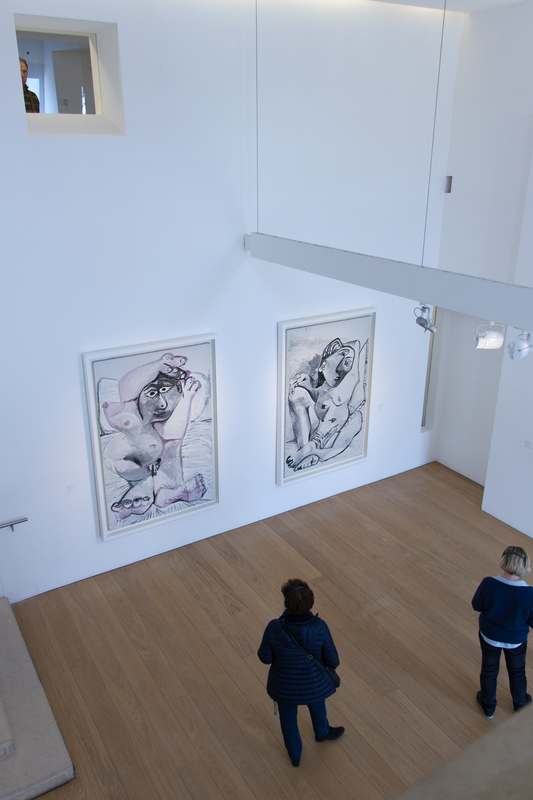 Claire had hoped to see the modern art collection which has works from Matisse (her favourite artist) Picasso and Duchamp to name a few. However, when we got there we found that this particular gallery was closed for refurbishment. Noooo! This is not the first time Claire has been caught out by refurbishment . We also travelled to Antwerp last year, mainly to see MOMU, the famous fashion museum where works from the Antwerp 6 designers are displayed, only to find out that was closed in between exhibitions. 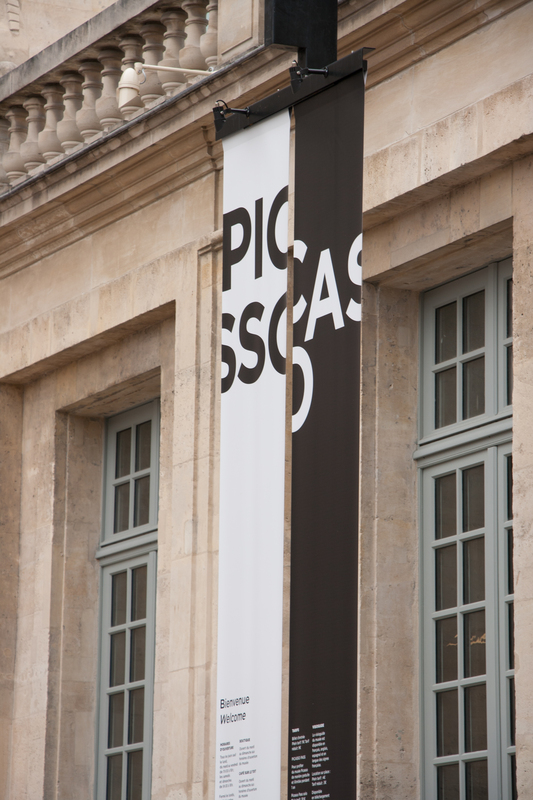 Although it wasn’t all bad, we spent the next day in Musee Picasso, a lovely sleek and modern gallery that is hugely popular. We definitely recommend booking in advance as you skip the long queues, we pretty much walked straight in. 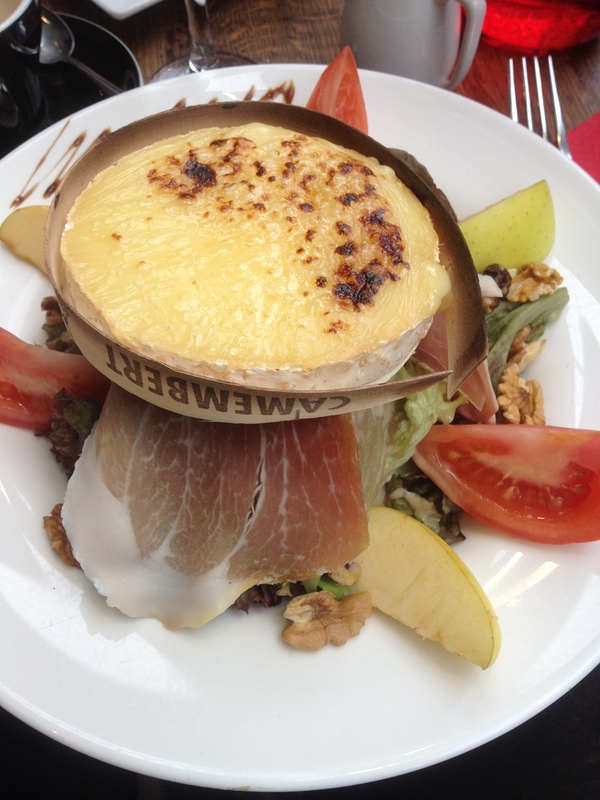 Last time I was in Paris we discovered this company, Fat Tyre, running bike tours of Paris. 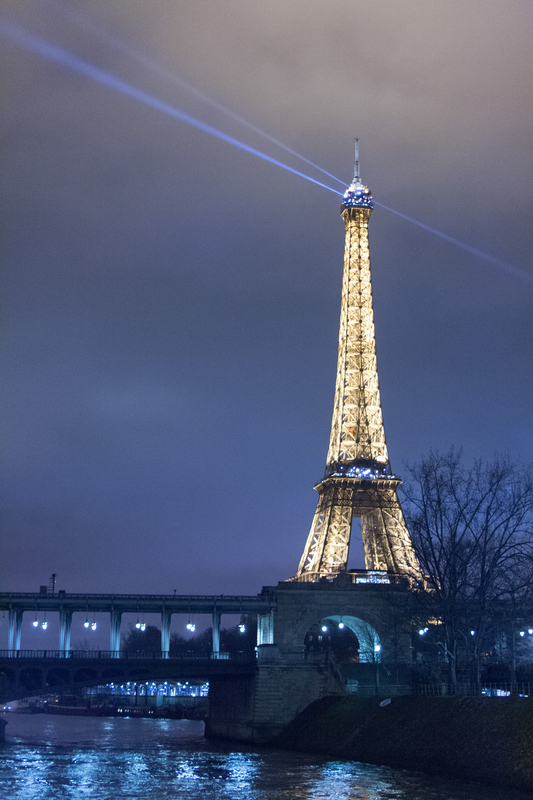 I had been on the day tour, which was brilliant, and so this time we opted for a night tour which included a boat ride on the river Seine. 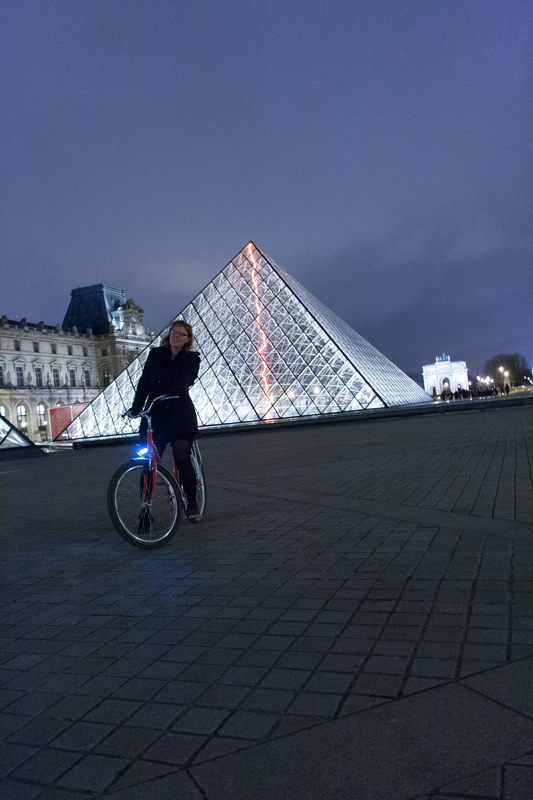 After meeting and picking up our nice comfy bikes, we cycled off to see all the main tourist spots at night, Notre Dame, the latin quarter and the Louvre before getting on a boat and being whisked down the river while drinking wine and watching the lights go by. 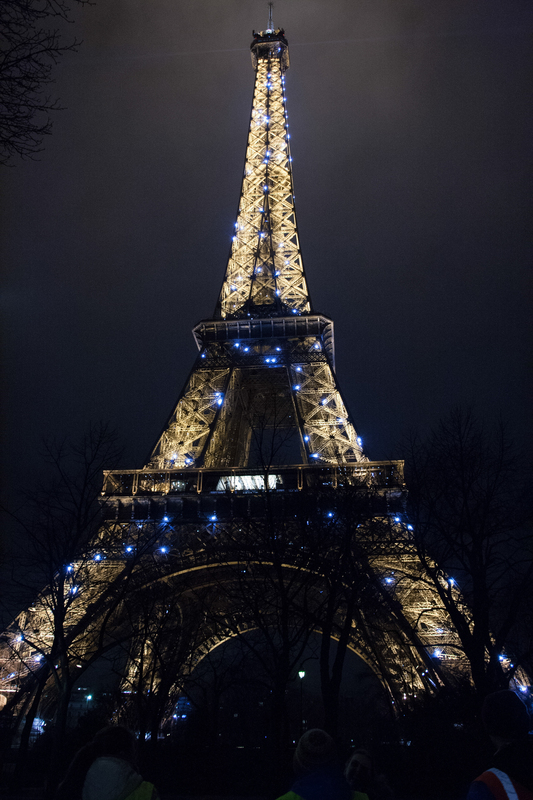 I would highly recommend these tours, just rug up if you’re doing the night tour in winter. It was freezing! 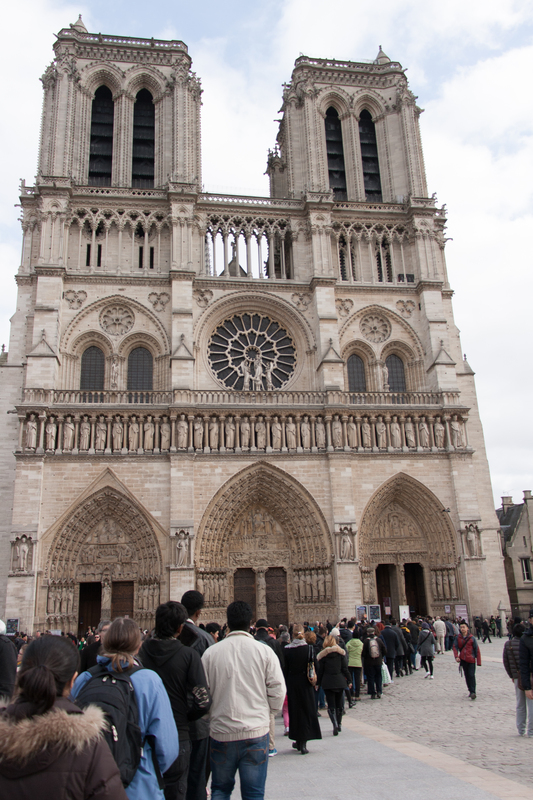 We spent our last day wandering around the Notre Dame. 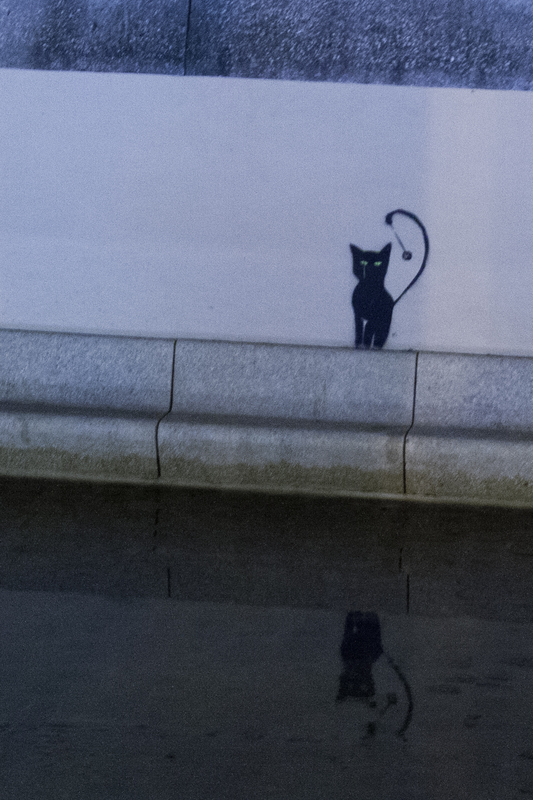 It was so beautiful inside, and I got to practice my night-time photography. 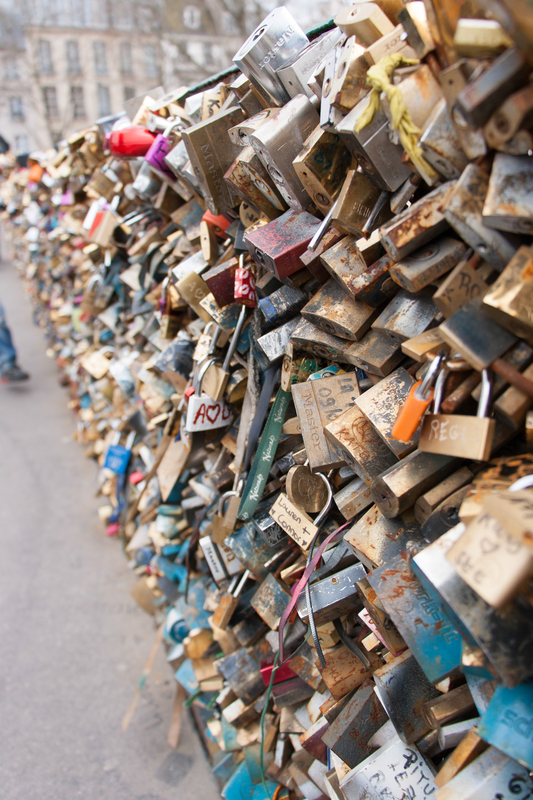 This bridge is nicknamed the “Love Lock bridge” and it is heaving with the weight of millions of padlocks. 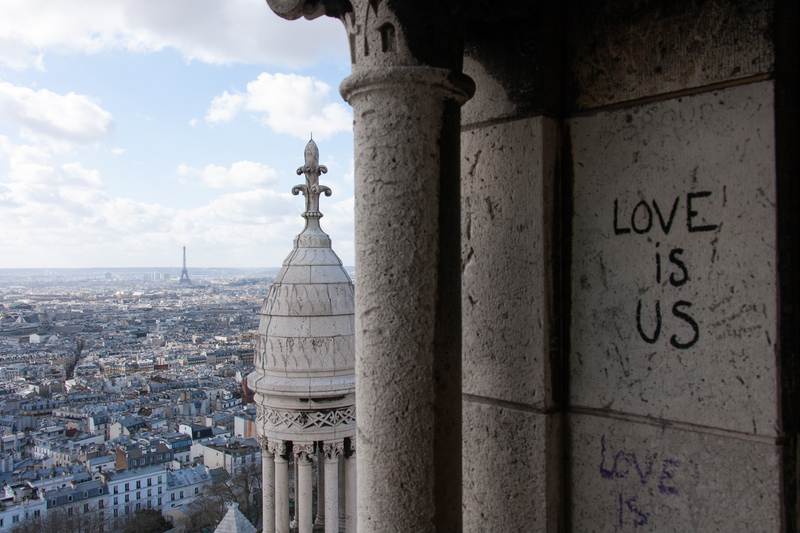 A romantic tradition or thoughtless vandalism, it definitely is a beautiful site. 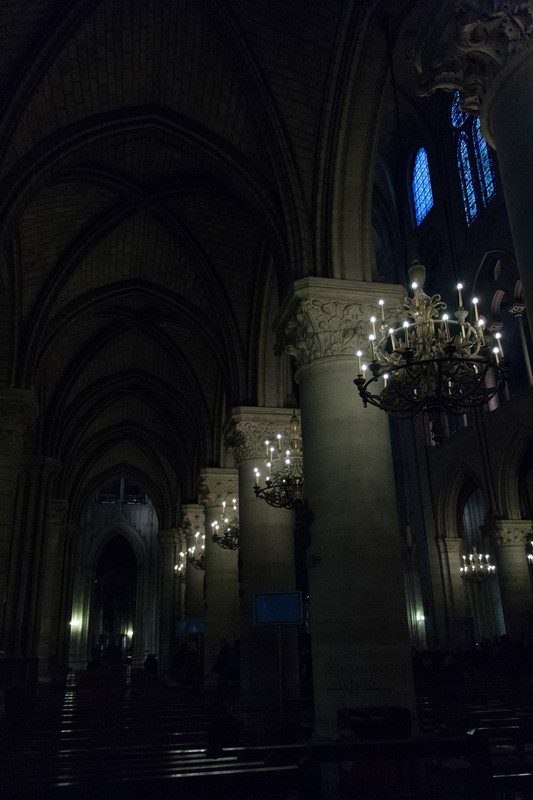 Notre Dame rises in the distance and when we were there we were serenaded by an enthusiastic accordion player. As you already know, we did eat our fair share of macarons on this trip. 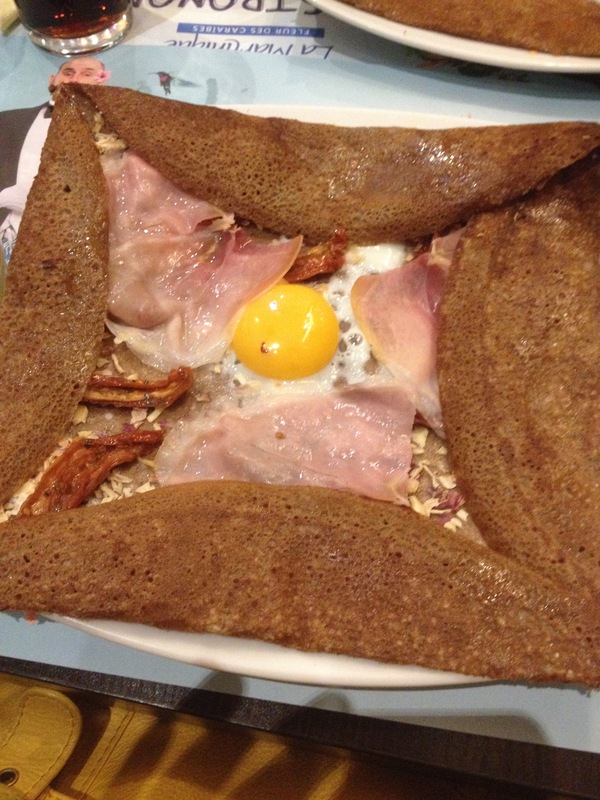 We also had our first savoury crepes, or galletes as I now know they’re called. 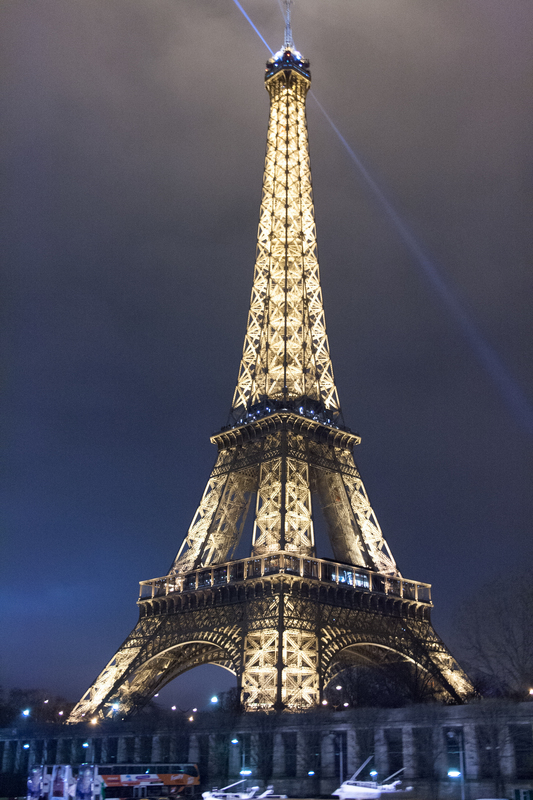 I can’t wait to go back to Paris, I have vowed that the next time I go it will be in summer. My next must see will be the Palace of Versailles. 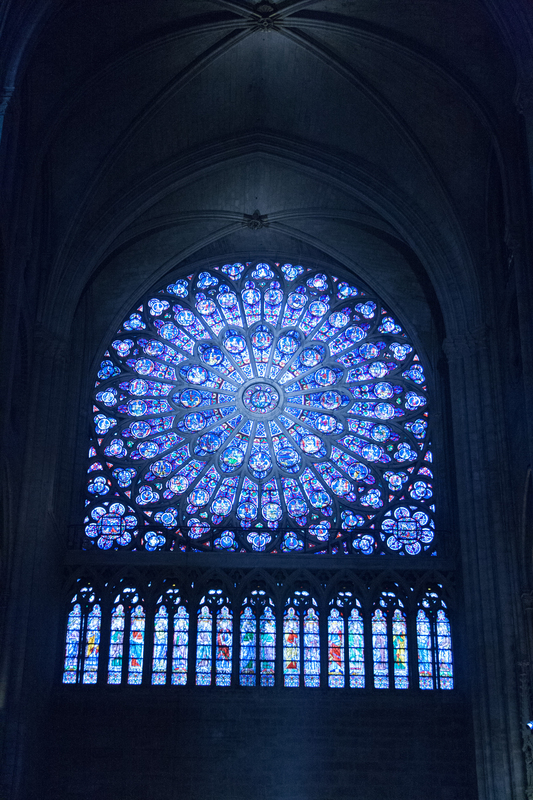 This entry was posted in Travel and tagged a weekend in Paris, City Breaks, Eurostar breaks, French Macarons, Paris galleries, paris travel guide, paris winter city break, winter travel Paris by andieinspired. Bookmark the permalink.